We are a firm of organizational psychologists and executive coaches. With an in-depth understanding of organizations and interpersonal dynamics, we focus on helping companies succeed by equipping their top performing leaders with the behaviours, attitudes and skills needed to further drive their organization’s future growth. Since 1998 we have worked with hundreds of senior and mid-level leaders from all walks of life on three continents; North America, South America and Europe, growing leadership talent aligned to specific business strategies. Palma Robinson is the founder, President, and CEO of Developing Leaders. She leads a group of professionals whose focus is on helping companies succeed by equipping their top performing leaders with behaviors, attitudes and skills needed to further drive their organization’s future growth. Since 1998 Palma has worked with thousands of high-potentials leaders at important turning points in their careers. Palma has committed her career to developing leaders who focus on achieving corporate priorities, anticipating the future, removing obstacles and learning while having a positive influence on the business. Her clients range from successful CEOs to evolving leaders whose careers are fast tracking. She enjoys working in large global organizations or helping executive teams of mid-sized organizations circumvent common pitfalls as they advance in the marketplace. Palma is a talented speaker, facilitator, executive coach and consultant. 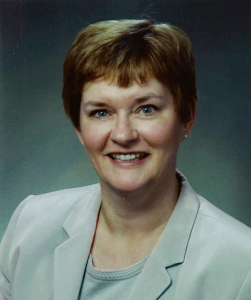 Prior to her role at Developing Leaders, she held various executive level roles in sales in the retail sector with The Hudson’s Bay Company and in the pharmaceutical sector with Eli Lilly Canada Inc.
She often conducts planning sessions with executive teams and partners with clients helping them to improve team performance by gaining clarity of their collective vision, setting priorities to match with their strategic direction, and ensuring their corporate strategy is aligned with their talent management efforts. Palma is a senior associate of The Niagara Institute, The Conference Board of Canada and a Licensee for the Center of Creative Leadership. She designed a suite of innovative coaching programs and certified a network of executive coaches and senior consultants to work on a large, multifaceted coaching engagement which provided significant returns on the coaching investment. As the lead coach, she was awarded The Prism Award for Excellence and Business Success through the Power of Coaching from the International Coaching Federation. Some of her clients in the private sector include KPMG, General Motors of Canada and USA, Magna International, Goldcorp Inc. CBRE, RIM, B2B Bank, World Bank, Bank of Montreal, Cogeco Inc., Rogers Inc., Glaxo Smith Kline, Sanofi Pasteur, Bayer Inc., Canadian Tire Corporation, Canadian Pacific Railway and various universities/nonprofit agencies. In the public sector, her clients include Canadian Blood Services, Region of Waterloo, Ontario Ministry of Health, Ontario Ministry of Transportation, Canada Revenue Agency and the Ontario Ministry of Natural Resources. Fluently bilingual, she holds a Bachelor of Arts in Organizational Psychology from McGill University and a Masters in Industrial and Organizational Psychology from the University of Montreal. She is a member of The College of Psychologists of Ontario, and a member of L’Ordré Des Psychologues Du Quebec as well as a member of The International Society for Coaching Psychology. Sharon is an accomplished business executive and team leader. With expertise in Leadership Development, she provides leadership coaching to executives, senior managers and teams. She also develops, delivers and facilitates workshops in coaching skills for leaders; managing, leading, and mentoring. Sharon’s corporate career culminated as a Vice President of Human Resources in a leading Canadian bank. Her leadership expertise includes a business foundation in national and international operations, retail, head office and information technology as well as human resources generalist and employment law specialist. Sharon founded a successful leadership development and consulting business in 2002. With over ten years expertise as an executive coach, feedback coach and facilitator, she is known for her practical understanding of executive work/life realities, love of learning and of helping others to grow. An Adler Certified Professional Coach, Sharon is proud to have been a member of two separate teams recognized by the International Coach Federation through PRISM Awards celebrating Excellence and Business Achievement through coaching. Her ongoing learning includes a variety of coaching and assessment instrument certifications, adult learning and strategic management courses. She has volunteered as Director of Mentoring on the Board of the York Region Chapter of the Human Resources Professionals of Ontario and been a speaker at the Toronto Law Office Management Association and Conference Board of Canada. Lydia Roy is an Organizational Development Consultant, Author, Facilitator, and Executive Coach with over 20 years of integrated leadership, mentoring, career development, and assessment experience in both corporate and entrepreneurial settings. Her area of expertise includes Business & Strategic Planning. Executive & Team Coaching, Leadership Development, Project Planning and Facilitation. She works with top level managers and executives from Top Fortune 500 companies as well as mid-level companies, from the private, public and not-for-profit sectors – delivering strategies and practices for resilience and optimal performance that support innovation and change. She is the author of The Magic of Change: 7 Strategies to Get Unstuck. 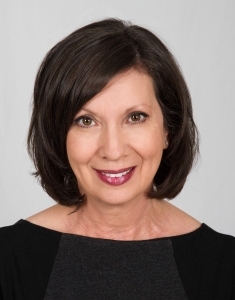 Lydia has cross-industry experience, and has worked with CEOs and Executives in a broad range of industries including major financial institutions and health care organizations. Her clients are successful executives (CEOs, COO’S, VPs, Directors and business owners) whose leadership and people skills may be holding them back from realizing their true goals and maximizing their professional success. Typical client scenarios where Lydia has been most effective include: successful leaders who want to take their leadership to the next level; financial leaders who want to be leaders in their businesses; leaders who want to inspire and grow their executive teams; leaders who have significant performance goals and want to jump start their team to achieve them; professionals who are going through career transition and are needing support in bridging to the next level; and leaders and managers who are looking to maximize their leadership strategy. Lydia has led Organizational Development activities within major organizations. Her focus was to serve the multifaceted needs within the organization by creating and implementing strategic plans that supported overall organizational goals. Recent clients include The Niagara Institute, Merrill Lynch, Bank of America, Limango Turkey, Vodaphone Turkey, Adler Scandinavia, Oil Sands Sustainable Development, Alphora Research Inc., The Government of Ontario, The Government of Alberta, The City of Ottawa, The City of Brampton, Compass Group, Queen’s University, Rotman, University of Toronto, St. Michael’s Hospital, Sunnybrook Hospital, Ontario Shores Centre for Mental Health Sciences, Halton Health Care, Haldimand War Memorial Hospital, Hamilton Health Sciences, State Farm Insurance, The United Way, to name a few. 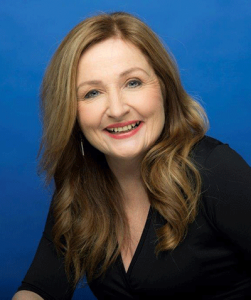 Lydia is a member of the International Coach Federation, the Toronto Board of Trade and is a sought after international speaker and facilitator working with organizations in Canada, the United States, Europe, Turkey, India and China. Lydia is a certified facilitator at the Niagara Institute and Adler International Learning. Our corporate partners come from diverse industry public and private sectors including: Automotive, Consulting, Energy, Pharmaceutical, Transportation, Financial, Manufacturing, Retail and Information Technology. The Center for Creative Leadership (CCL) is a non-profit educational institution that serves as an international resource for increasing the leadership capabilities of individuals and organizations from across the public, private and non-profit sectors. Korn Ferry International is a privately owned consulting company – a source for leadership and talent consulting services to empower businesses and leaders to reach their goals. Providing services that range from executive recruitment and leadership development programs, enterprise learning, succession planning, and recruitment process outsourcing (RPO).